Could this be late Guangxu or Republic? 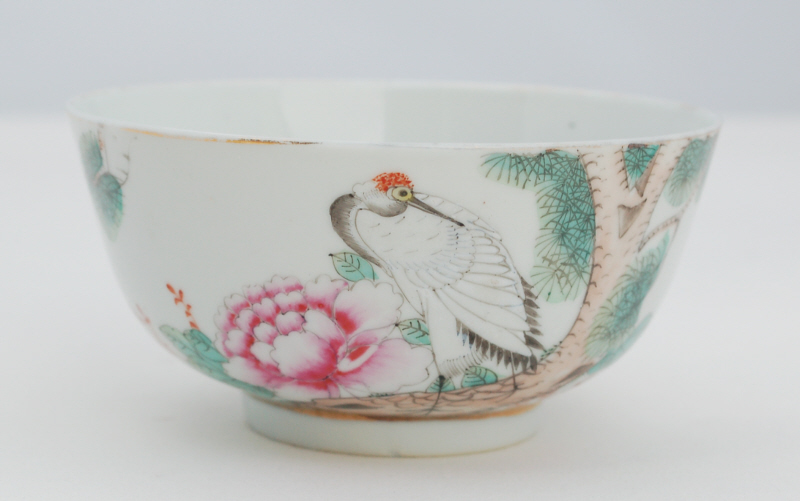 The painting of a preening stork, pine and chrysanthemum is well done. I don't know what the calligraphy says, doesn't appear to me to include a date. There is a red oval printed stamp includes Made in China. Many thanks to anyone who can help with this. Date is guiyou 癸酉, so 1933 I presume, not 1873 or 1993. Inscription is "Pine, crane, prosperity and status", that is, "live long and prosper"
Artist's name is a bit unclear, the calligraphy is a bit "cutesy" and hard for me to read. 王壽興perhaps? I found one artron.com list of mid-Guangxu Chinese artists, one of whom was named Wang Yixing (王義興). 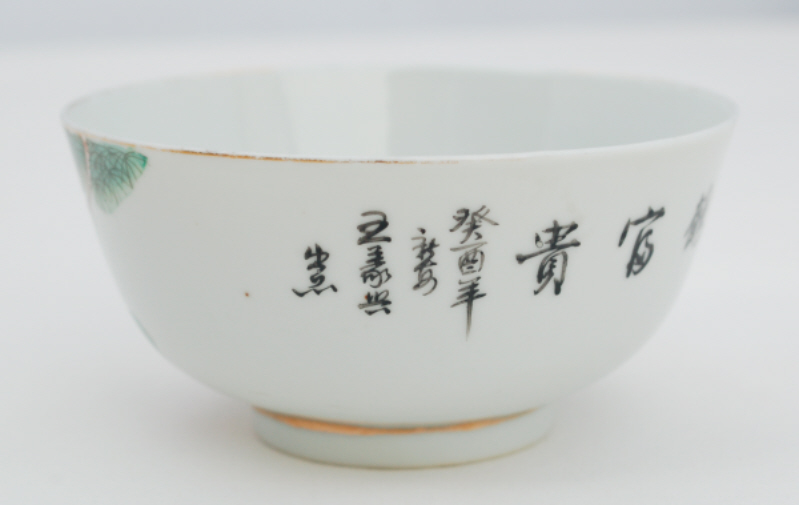 The "Yi" character has somewhat of a similarity in cursive form, but the only thing I could find sourced to anyone of that name looked like Yixing ware. 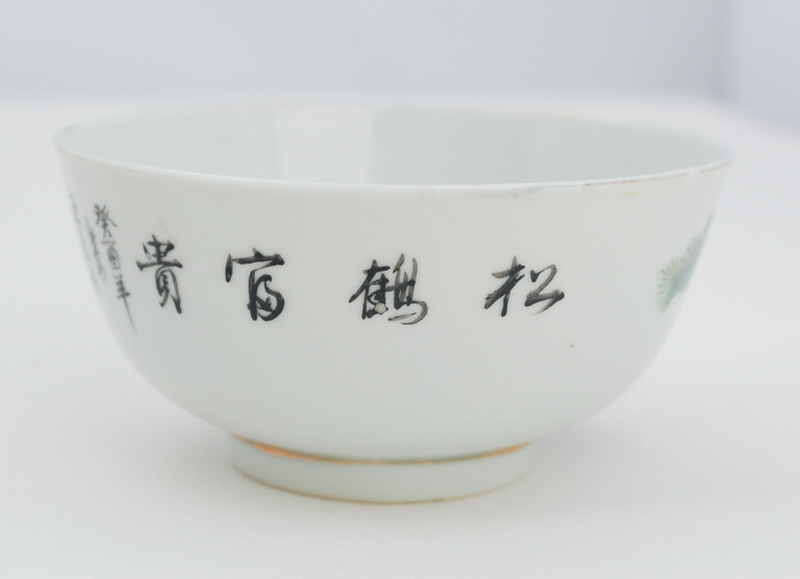 In context, this would be translated as "Jingdezhen product by Wang Yixing". 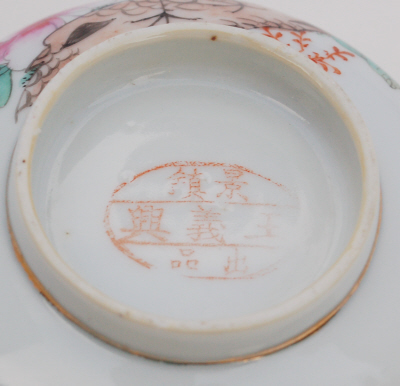 While it is conceivable that an artist could have been active from the mid-Guangxu reign well into the Republic era, it is known that marks of the type seen on the base of your bowl date from circa 1930 or later, and at Jingdezhen were associated with a Government revitalization program called "Restoration Jiangxi" (Fuxing Jiangxi - 復興江西). Thus the cyclical dating of 1933 would be correct.